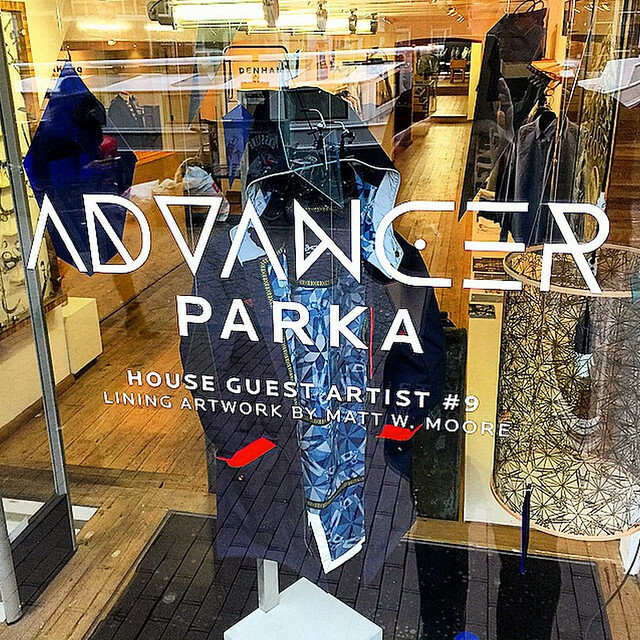 MWM NEWS BLOG: MWM X Denham : Indigo Byzantine 'Advancer Parka' 2015. MWM X Denham : Indigo Byzantine 'Advancer Parka' 2015. The Denham 2015 Indigo Byzantine 'Advancer Parka' is now in stores along with a bunch of other great apparel laced with my graphics. Such a fun collaboration. Thanks again Liam & Co!